On the left, Dr Gerry Mooney, OU Staff Tutor in Scotland and author and co-author of many texts including an article which won the Sociological Review 2017 prize for outstanding scholarship: Place revisited: Class, stigma, urban restructuring in the case of Glasgow’s Commonwealth Games. Although the OU has never simply been in Walton Hall, Milton Keynes the assumption that the OU was to be a unitary institution to serve the whole nation was illustrated by the editor of the Times Educational Supplement, who in 1971, called it ‘England’s Open University’. This marginalises that Scots have played a significant part in the shaping of the OU. Harold Wilson first announced his plans for a ‘University of the Air’ in Glasgow Concert Hall, and Jennie Lee (the MP who did so much to create the OU) and Walter Perry, the founder Vice Chancellor, brought their experiences of Scottish universities to the OU. The Scottish Education Department attended the Advisory Committee which helped to shape the OU. 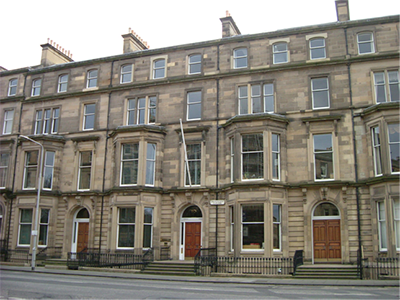 Scottish personnel brought experiences of specific features of higher education that were particularly relevant to the OU. The four-year degree was widely accepted in Scotland and the Scottish Universities Council for Studies in Education had already explored credit transfer systems. Stirling University offered modular degrees from its inception in 1967. These precedents encouraged the OU’s planners to believe that a modular system, necessary as students often took breaks within their studies or did not seek to complete an entire degree, could successfully be developed. Members of the Planning Committee included Professor Lord Ritchie-Calder, Professor of International Relations at University of Edinburgh and Roderick Maclean, Director, University of Glasgow Television Services. Winnie Ewing, Scottish National Party President 1987–2005, suggested that the honorary doctorate she received from the OU in 1993 was ‘in recognition of my role in establishing it’. The Scottish local authorities were given the right to nominate a member of the OU’s Council. They brought with them the confidence that working-class students could attend a university, a notion with a longer pedigree in Scotland than in England. 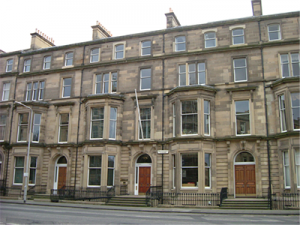 Since the nineteenth century there had been a large number of bursaries for university places in Scotland and there are strong traditions of independent working- class education in Scotland. In the 1860s 1 in 1,000 people went to university in Scotland compared with 1 in 5,800 in England, and 20 per cent of students at universities in Scotland were of working-class origin. OU students were not always like those from England. Among the first ten cohorts of OU graduates 44 per cent were teachers, but this was only 37 per cent in Scotland, where there had long been many graduate teachers; the percentage of teachers without previous degrees was 41 per cent across the UK but only 29 per cent in Scotland.83 In addition, 20 per cent of Scottish students were geographically remote. Once established the regional structure enabled the OU to adapt to differences within the United Kingdom. Roger Carus, the first Scottish Director of The Open University, ignored ‘“instructions” from Milton Keynes when he believed they did not meet Scottish needs’. Neil McCormick (an arts Staff Tutor in Scotland) noted that the Scots working in Edinburgh felt obliged not only to appoint and supervise staff in Scotland, but also to adapt OU teaching to local conditions. Scotland has a different legal system, different educational traditions, an Established Church of its own and a distinctive cultural history. The distance between the university’s central administration and its furthest flung students put a lot of mileage on its Scottish staff, as Neil McCormick noted: ‘Stornaway Tuesday, Milton Keynes Thursday’. Soon after the tuition fees doubled in the course of four years he pointed out the inequalities of access in Scotland and McCormick commented, ‘The better-off can travel from Arran to Aberdeen, just for a day school, if they want to. The others may not be able to, even once a year.’ A generation later when fees were raised the OU’s Young Applicants in Schools and Colleges Scheme (whereby about 25,000 school students studied OU modules) was closed in England, Wales and Northern Ireland. It was retained in Scotland where the fees were remained the same. The teaching methods had to be adapted as the reception of broadcasts was unreliable in some parts of Scotland and the distances people were required to travel, if they sought to attend tutorials, were vast. However, there were compensations: staff who went to Kirkwall and Lerwick spoke of how they returned with sides of lamb from appreciative local organisers. For part-time staff with more generic roles, location counsellors, location centres (rather than study centres) and telephone and later video conferencing were employed. Telephone tutorials were developed by, amongt others, Judith George These were for those who lived in remote locations, some disabled students and those on some low-population courses. The OU in Scotland gained a reputation for reaching out, providing evidence that the OU, while distant, was also nearby. The Scottish Director of The Open University from 1988, John Cowan, an educator of international reputation, was involved in many local issues and networks and active in securing access to university education for the Highlands and Islands. 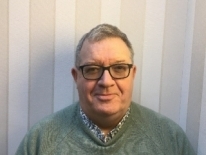 Emeritus Professor Ian Donnachie chaired Validation Panels for OU Validation Services, the Centre for Inclusion and Collaborative Partnerships, and acted as an assessor with QAA, the Scottish Funding Council, and reviewer for the Arts and Humanities Research Council. He also took a long-term interest in the heritage of the New Lanark World Heritage Site, helping to develop a search room and archive at New Lanark. Professor Christopher Harvie was a senior lecturer in history at the OU before becoming an elected Member of the Scottish Parliament. Katla Helgason started to study at the OU in 1971. She became a tutor, established the Scottish Prison Scheme which replaced ad hoc arrangements with prisons, and later became the Assistant Director OU in Scotland. She went on to be active within National Dementia Carers Action Network. This entry was posted on Sunday, January 20th, 2019 at 12:01 am by Daniel Weinbren	and is filed under 50 objects, Nations and regions. You can follow any responses to this entry through the RSS 2.0 feed. You can leave a response, or trackback from your own site.